scale to fit any opening. Alternately type in the ‘opening’ dimensions. if frame width set to 0 – the frame disappears. Though it’s ‘depth’ still affects the component boundaries. 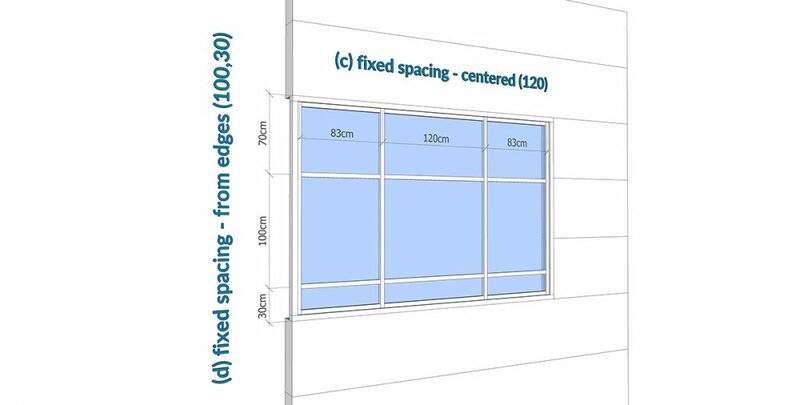 for option (c) – specify the desired spacing between profiles. for option (d) – specify both the desired spacing (c) and the desired distance from the edge. Positive numbers determine the distance from the left and bottom. Negative numbers determine the distance from the right and top. 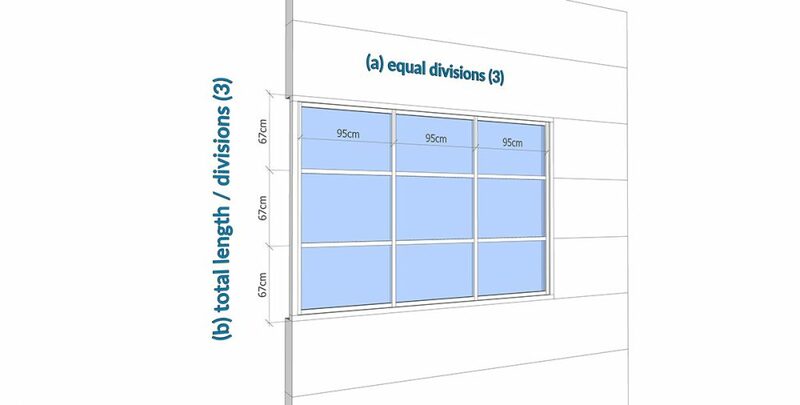 glass thickness control – set to 0 for single faced component. default material is different for glass with or without thickness. Offsets– for extra control over profile and glass positioning. Z axis - Distribution (d) Fixed Spacing from one side - Starts at 30 from the bottom. Then 100 (100,100,100...) + remainder.